The U.S. Department of Justice today officially blessed the marriage between Google and Motorola after concluding that the merger would not adversely impact competition in the wireless market. In addition to its approval of the Google-Motorola merger, the DOJtoday also gave Microsoft, Apple and Research in Motion the go-ahead tobuy up patents formerly held by Nortel.Those three companies last yearformed an industry consortium that bid a total of $4.5 billion for theNortel patents, thus keeping them out of Google’s hands. 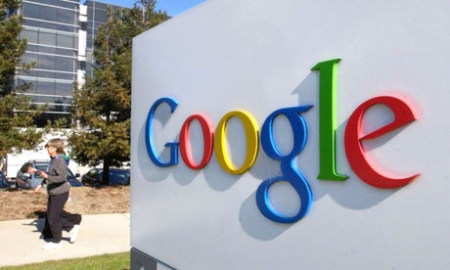 Google had bida total of $900 million for the rights to the Nortel patents. In all,the Nortel portfolio contains more than 6,000 patents that covertechnologies such as 4G wireless, data networking and voice. Google’s Motorola purchase now hasEU and U.S. Justice Dept. approval. Apple, Microsoft and other big tech companies have been suingmanufacturers that create and sell devices based on Google’s Androidoperating system for alleged patent infringement since 2010. Apple gotthe ball rolling by filing a lawsuit against HTC for allegedlyinfringing on 20 Apple patents in March 2010 and Microsoft followedshortly after by announcing it had reached a licensing agreement withHTC where the company would pay Microsoft royalties in exchange for theright to sell Android-based devices. To combat these patent suits against Androidvendors, Google hasattempted to boost its own patent portfolio through both its failed bidto acquire valuable tech patents formerly held by Nortel and itsannouncement that it intends to pay $12.5 billion to acquire MotorolaMobility and its portfolio of 24,500 patents.